At some point everyone needs a fresh start, right? Well, this is how I feel with this blog. Going back to old posts I see the numerous hours of posting, the joy of hitting publish on those posts, but I also notice the numerous, actually about 3/4 of the posts, having photos that do not show anymore. I can understand how frustrating would be for both the visitor and myself to have the photos not show up on the post. I have been going back and forth trying to figure out what I should do: just erase those posts and start clean or should I spend lots and lots of hours, that I do not currently have, fixing up those posts. Ultimately I would love to get a new blog design, freshen things up. I am trying to figure out a way to get back into the groove of things so until then please excuse the mess, and hopefully all this will be resolved soon. I can’t believe I am saying this out loud but I receive about 17 magazines a month. Some of my favorites have to be HGTV and Better Homes and Gardens. Those two magazines are fresh and are so much fun to read. 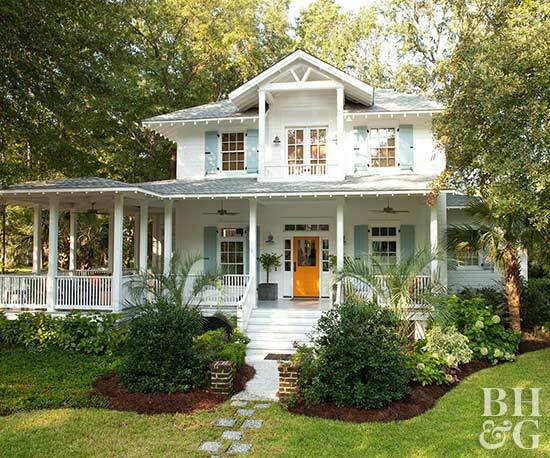 This is a home that I saw in BHG and fell in love with: from the colors to the casual and relaxed feel of the home. 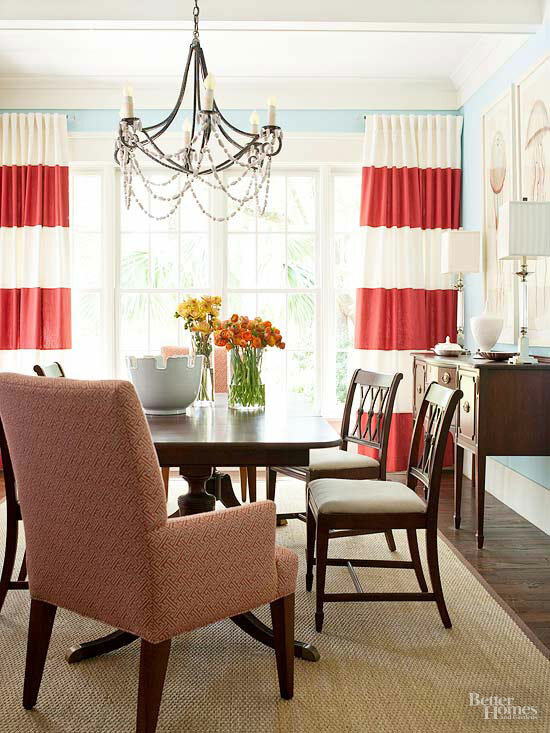 The bright colors make the house cheery and very inviting. There are no words to describe the front porch. I can see myself with a good book sitting there for hours. For the whole article and more photos, please click here. Last Thursday was officially my daughter’s last day of school. I survived her first year of preschool. I remember the first month of preschool, the constant crying and fear of going to school. Me having to sit in the classroom, pregnant, for three hours to try to ease her into it. At the end of the school year she just ran in her classroom waving a quick good bye. I don't like like to make plans way too far in advance because somehow my plans always change. I like being a last minute person for the most part especially with a newborn. Madison and I were working on a summer bucket list and somehow we came up with practically the same things as last year. You can check out our list here. Then I remembered all the pins sitting in my summer board on Pinterest and came across this summer schedule. What I like about this schedule is that every day has a theme. I think in the end we will be incorporating both our summer bucket list as well as the summer schedule into our daily activities to make things more interesting to my almost 4 year old. I have a few things already lined up for us and cannot wait to record them. For example on Mondays we can make things that I have found on Pinterest: some kids crafting, painting; on Tuesdays we can go to the local library to story time; on Wednesdays we can make kids appropriate recipes such as cookies, cupcakes, kids size pizza. For the summer I have signed Madison up for art class on Thursdays so we can either have that day as our “Somewhere fun day” or continue with the “Be thoughtful day”. Only time will tell! To be completely honest with myself and you, the readers, I am not sure how committed I will be to the blog this summer but I will try to update every so often. 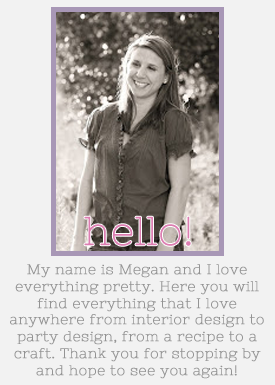 If you would like to keep up with me you can always find me on Instagram – my handle is megan_splendiddesign or check out the sidebar on the right. Okay, it’s been what…two months since my last post? Well, I had my little girl…baby Sawyer…back on April 23. We are so happy to have this little addition to our family. Being on bed rest for the last two months of my pregnancy was so worth it for this little girl. Yes, she was born with so much hair, which startled me a little bit…Madison was born with barely any hair. It is amazing how time flies even faster with two kids. I am not sure how others do it (especially other bloggers who are back to blogging the first week) but I barely get anything done. Oh, wait I don’t get anything done! There are days where I don’t even get the chance to take a shower. This is the first time in I don’t know how long that I have been able to get on my computer (love my Iphone, where I can get a lot of things done on there). With summer right around the corner and Sawyer getting a little older, I really hope that things will settle down and without having to rush to get Madison to school in the mornings things will be a little easier. Thank you everyone (if there is anyone left reading my blog other than my mom) for continuing to read my little blog. I really appreciate it! One thing that I always look forward to is Sundays! Sunday mornings are lazy mornings. This is the only time that we do not rush out of the door to get to somewhere. We sit down and read the Sunday Newspaper, we take our time eating breakfast, we just relax and enjoy each other’s company without interruptions! One thing that I love about my day is reading the funnies in the newspaper! Sometimes they are a true reflection of our lives in a funny way! 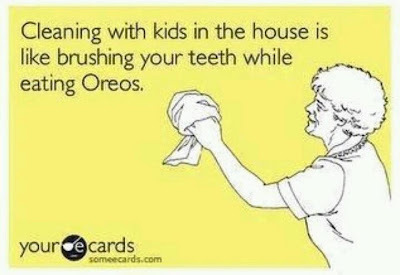 You are probably very familiar with Someecards…well, they make me laugh constantly! I just love them and they can lift my mood no matter what! 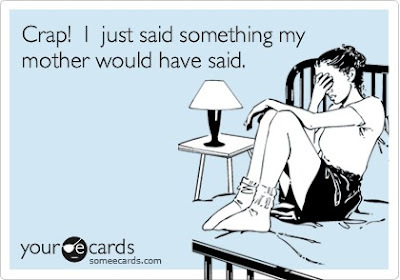 This is not a Someecard but it is so true and so funny when it’s not happening at the time. I remember taking me three hours to run a few errands a few months ago. I was so exhausted by the end that I had to take a nap. True story! I am so having fun that I might turn this into a regular Sunday series! I am not sure if there is anyone else left other than my family reading my blog but I figured I need to do this. A little too personal post about what has been going on for the past five months. My first pregnancy was a breeze. I didn’t have any complications. I was able to sit back and relax. I didn’t have anything to worry about. Well, this pregnancy has been just a tad bit different. Once I hit the 10 weeks mark I started having horrible morning sickness that required Zofran to help me get through the day. Then all of a sudden I found myself sick every few weeks from Halloween until end of February. Fun, right! Being sick on top of trying to run after a very active toddler who by the way started preschool in February (what an experience that was, much better now) left me with no energy to get anything done. Of course, the biggest thing during this pregnancy was always hearing “Everything is Okay, but….” Now, if everything is okay, why is there “a but” in the end? At 31 weeks I was told that the fluids around the baby are in the normal low and I will have to be monitored twice a week. Well two weeks into it the fluids got lower and lower. I had to be hospitalized because at one point I was told there were no fluids (I guess if there is a water pocket with the cord in it, the tech cannot measure it). Thankfully I was released after 24 hours in the hospital but was told to be on strict bedrest. It has been four weeks since then. The baby is doing fine, me on the other hand is going stir crazy. Since I am told to lie in bed on my sides I can’t really sit and use my computer; my back is really starting to hurt all the time, and there is not a whole lot going on TV during the day. Although I am very thankful that the baby is doing fine and that my awesome mom has flown in to help me with my daughter, I am starting to get very frustrated. 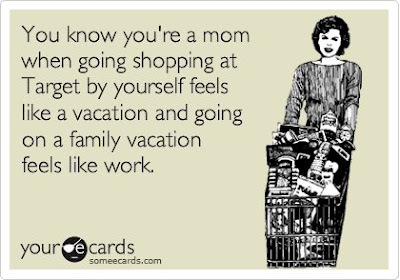 Frustration that I have to rely on others to get ready for the baby, to go out and buy a welcome home outfit and other baby necessity; of course the tasks of regular chores and food shopping (I miss going to the stores). Frustration that I have not even half way done projects all around the house that will have to be finished once the baby comes. Frustration to have to rely on others and at the same time very grateful to have such a supportive and helpful family. The baby’s due date is two weeks away but I am taking things one day at a time. If at any time from now on there is no measurable fluid around the baby I will be induced. I really hate the uncertainty. I am a natural planner. Believe it or not I had blog posts planned for the past five months but somehow with everything going on the blog has been very, very neglected. My upcoming goals are to deliver a healthy baby, spend some quality time with my first born once the baby comes (although she has been very understanding, I can tell that she is getting frustrated that mommy can’t do anything with her), go on a date with my husband (it’s been over a year I think) and then to spend some time on the blog. I cannot promise anything but I would love to get back into blogging once things settle down and we get accustom to the changes in our lives. Hello and welcome to another edition of “Pinterest your Friday”. I am still slowly putting up our Valentine’s Day decorations (hopefully I will have all of them done by end of the weekend) and have been doing lots of small Valentine theme crafts with my little daughter. Since Valentine’s Day is next Thursday I decided to make this a special “Pinterest your Friday” edition. Here are some of my Valentine's Day pins that you might find inspiring even at the last minute. Do you have your Valentine’s ready? I have to have 18 Valentine’s ready for my daughter’s class. For more Valentine’s Day inspiration you can check out my Pinterest board here. I am not sure where time goes these days, but just like anybody else I love hearing about the current design trends. Elle Decor came out with their “Big in 2013” trend report and I wanted to share them with you. This one is given since Pantone announced Emerald as their color of the year. You can see more Emerald inspired interiors here. I am not sure how this is a new trend since most of the design community has been putting beautiful wallpaper on the walls for a very long time. You can see more wallpaper inspired interiors here. Lace is delicate and can make any interior feel feminine and soft. Do you remember Kate Middleton’s dress? You can see more lace inspired interiors here. I am not sure how this is a new trend since I have been seeing beautiful neutral interiors for years now. I think people like them the most because they are “safe” but can always be changed with a pop of color. 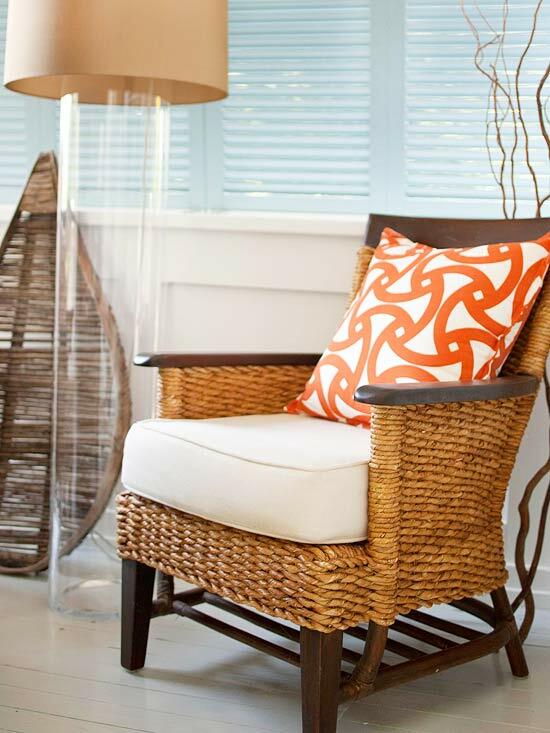 Do you agree with the trends that Elle Decor has predicted for 2013? Do you have a favorite one?